If you are facing divorce or already in the midst of a family law dispute, it is important to work with a lawyer who keeps your unique interests in mind. At Day Law Office in Spring Hill, Florida, we understand each person who comes to our law firm has unique issues, goals and financial considerations. Whether you simply need help preparing your divorce forms or you require full legal representation, we will tailor our services to meet your specific needs. We handle numerous aspects of family law. Our family lawyer, David J. Day, handles both contested and uncontested divorce and the issues associated with it, including custody and time-sharing, child support, alimony/spousal support, or the division of assets and debts. He also has experience handling unique challenges in high-asset divorce such as business valuation or the discovery of hidden assets. As a certified mediator, David Day seeks to help families resolve issues as amicably as possible through mediation or negotiation. We are not looking for a fight if one is not needed, but you can count on us for vigorous representation if going to trial is in your best interests. Our law firm also handles other family law issues such as paternity, stepparent or grandparent adoption, domestic violence, protective orders or restraining orders, parental relocation, and post-decree modification or enforcement. We understand a one-size-fits-all approach rarely works in family law. We take time to listen to your concerns to develop a tailored solution that protects your rights and relationships with your children. As down-to-earth lawyers rooted in our community, we at the Day Law Office offer straightforward, honest services to meet your family's needs. Our goal is to help you resolve your family law issues as quickly as possible and with the least amount of emotional and financial stress. At the Day Law Office, our goal is to help you preserve your family relationships, especially those with your children. 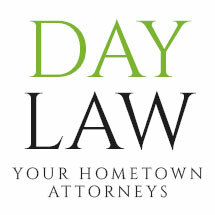 Family law attorney David Day will do what it takes to help you resolve your family law issues as amicably as possible. We also understand that every divorce is unique. That is why we tailor our services to your situation, whether you simply need assistance preparing the forms or you require full legal representation throughout every step of the divorce process. Paternity is a highly personal and emotional issue. Whether you are a mother pursuing child support or a father seeking to assert your parental rights, paternity attorney David Day is here to support you and protect your interests. Alimony, also known as spousal support, can be a complex issue in a divorce. The Day Law Office will help you understand your rights and obligations regarding alimony while guiding you through the process. At the Spring Hill law firm of the Day Law Office, we understand that your needs change. We are committed to helping you pursue or resist a modification to a family law order.